When selecting an Antivirus partner, we wanted a partner that was a very effective antivirus while minimizing the impact on the operating system of the machine. We found that with Webroot. As you can see from the above image, Webroot came out on top for performance testing. PassMark Software® conducted objective performance testing on eight (8) security software products, on Windows 10 (64-bit) during March and April 2017. Their report presents the results and findings as a result of performance benchmark testing conducted for these endpoint security products. 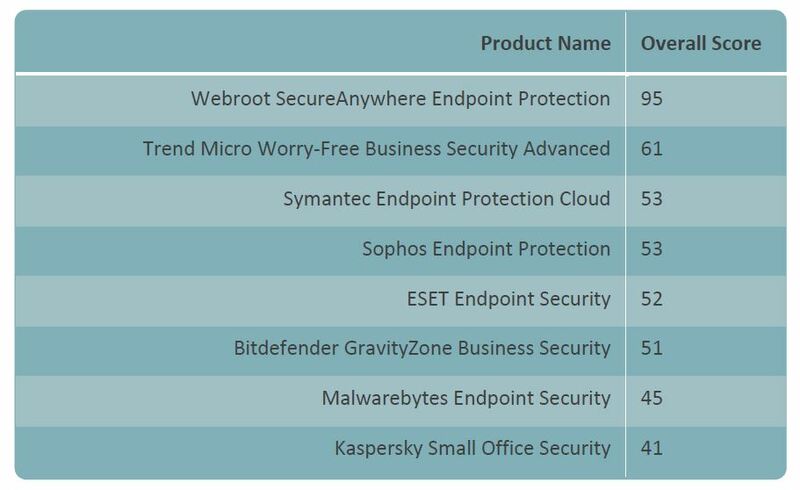 The aim of this benchmark was to compare the performance impact of Webroot’s SecureAnywhere Business Endpoint Protection product with seven (7) competitor products. Testing was performed on all products using fourteen (14) performance metrics. Please view the report below or click HERE to download!